After determining that my cannon-fire ideas weren't doing the job, a careful rethink of my opening approach was necessary. This was a critical phase of my chess development. It seemed that chess was far too difficult for my poor mind. Was trying to get better worth getting stomped by my friends? All chess players at one time in their very early career are struck by this telling question. Many decide that, indeed, chess isn't their shtick. Fortunately for me, a serendipitous outside influence played a crucial role at this phase in my development. My interest was rekindled when America's own Robert James (Bobby) Fischer defeated the Soviet Union's Boris Spassky for the World Chess Championship in 1972. It was a heady moment for chess players around the world, and for American chess players in particular. While most Americans were undoubtedly proud of their new champion, I had a question: "How could Bobby be champion? He didn't beat me!" Renewing myself, I applied the formidable powers of my young mind to my opening strategy. Carefully penetrating the mysterious veil of the chess pieces, I deduced something wonderful and extraordinary: My Queen is the most powerful piece on the board! My fault had been not to develop it quickly enough. How simple and obvious: My Queen was a natural-born bully! All that was necessary was to introduce it into the game as early as possible. This faulty strategy is one of the most insidious pitfalls in chess! I fell into it headlong, as every untrained beginner has done! The problem, dear reader, is simply this: The Queen Raid strategy worked! My results against my circle of chess friends immediately improved. Two early examples of victorious play convinced me that I was on the right track. This game begins with a good opening move—played with the completely wrong strategy in mind. The intention should be to grab control of the center, not to make room for my Queen! Controlling the center certainly wasn't my intention. This is the classical answer and a good move. Even beginners occasionally find good moves! This was my "new and improved" idea. As the new neighborhood bully, my Queen would knock heads together. 2...g6?? My opponent seizes the opportunity to attack my Queen, but overlooks my real threat. Black copies my plan of bringing out the Queen. My turn! What's this? The capture presents danger, but I can block the check and my Rook is safe. What a sly devil my opponent is! Now he is conducting his own raid. My goodness, how do I defend the threat of 6...Qxcl Checkmate? A sudden panic overcomes me, followed by a sigh of relief. No! My brilliant fifth move with my Knight protects my cl-Bishop! Happily, I continue my own raid. Black makes a good move and develops a piece. Now, at the position shown in Diagram 4,1 had a real think about what to do next. By this time I was experienced enough to make a realization. I had a won position! I've grabbed enough loot—a Rook and a Knight—to have a big edge. Do I need to win more material? The h7-pawn is a very tempting grab as my raid on the Ringside would be completed. However, Black's Queen is quite worrying and I must pay attention so that I don't blow my win. Resisting my strong inclination to play 7.Qxh7, I instead decide to attack Black's raiding Queen. was doing, I've developed a Knight with tempo. That is, I mobilize one of my pieces and attack Black's Queen at the same time. The realization that "Black's Queen will have to move because I've attacked the Queen!" planted a seed that would take root and grow. This seed would lead me to reevaluate my new Queen strategy. This is a move I could fully understand and appreciate. Beginners like myself who have discovered the Queen strategy try to throw the Queen right into the middle of the battle. When the Queen is attacked, my natural reaction is to return the favor at once! As my Knight attacks Black's Queen, the Queen responds by attacking my White Knight Just what I would do! My admiration for my opponent's play was growing. I looked at the captured pieces to restore my confidence. I'm still a Rook and Knight ahead! I love what has just taken place. I've gobbled up nearly half of my opponent's army and I had just attacked Black's Queen. It felt so good that I only considered two moves: taking the h7-pawn or the move I chose. Playing 8.Qxh7 was nearly irresistible. But attacking Black's Queen had brought such pleasure previously, I just couldn't resist. This time, the thought behind the move was correct. My cl-Bishop protects the Knight and the Black Queen is given another boot. Black tries to keep his Queen as close to the action as possible. Once more my opponent had completed the very move I would have played. At this stage of my chess career, I rarely saw more than one move ahead. My move always seemed to be spur of the moment and at this moment I was on a roll. Black's Queen has had to react to my previous moves. Without hesitation I plunked down my next move. I thought this move to be an excellent retort because it follows the reasoning, "When attacked, counter with an attack of your own." In fact, this move just loses. While Black is quite lost because of his material deficit, a better choice is 9.. .Qe4 to get out of harm's way. Diagram 5 shows the position as we come to one of the proudest moments of my early career: my first combination. Of course, I didn't call my next move a combination (I didn't know what the word meant); it was simply wonderful. I continue harassing the Black Queen. This was the very first move I considered, but because Black's last move attacked my c2-Knight, I was going to give up on this move when I spotted—by sheer luck—that the move has a deeper purpose then merely attacking Black's Queen. Played with a near yelp of delight, my fiendish opponent wasn't about to be chivalrous and say, "Look here young Yasser, you've overlooked my threat to capture your Knight. Why don't you reconsider?" 11 .Qxf8 Checkmate This stunning dénouement had an extraordinary effect on my enjoyment of chess. I was as dumbfounded as my opponent, who could only stare in helpless reflection at the final position. I had actually anticipated two moves in a row. I had consciously sacrificed a Knight in order to win back a Bishop! You must understand that at this stage of my chess understanding, captures came only as a result of an oversight by myself or my opponent or due to a mutually recognized immediate trade of pieces. Sometimes captures were ignored all together. This little trick caused a near explosion in my cranium. It was possible to sacrifice a piece with a higher purpose in mind! From this victory I deduced all the wrong lessons. Now I was more convinced then ever that I was close to solving the mystery of chess and what to do in the opening. I now believed that the key to victory was developing the Queen early in order to raid the flanks, and that in this way an early checkmate was possible. As experience would prove, I was completely wrong. At this time, most of my games were usually lopsided affairs where my opponents would delight in taking my entire army first, before checkmating my King! That was simply the way it was done. Most of the time, I was checkmated without the aid of any of my pieces or pawns on the board. This was another reason why the victory just described resonated so loudly: Black's very own pieces blocked Black's King from escaping. Thus I came to arguably the greatest pitfall for all beginners: an overwhelming fascination with the Queen's power. My concern for its wellbe-ing became so great that the game ceased to be interesting when Queens were traded or—worst of all—lost! Let's look at one more of my typical victories from this period. First I must confess that I wasn't entirely comfortable with White. I was unsure if I should play l.e4 and 2.Qh5 or 2.Qf3, l.d4 and 2.Qd3, or l.c4 and 2.Qb3. My rate of success was pretty good with all three tries but I was dy-no-mite with the Black pieces! Witness the following epic. This is actually not a bad opening move, and it goes by the name of the Scandinavian Defense—although at the time I didn't know that. I was already in my glory. My Queen had been introduced into the game with a wide-open field. Now I'd ferret out a weakness to capture. This good move attacks my Queen and forces it to move again. This move hadn't yet made an impression upon my young mind, as it had always been my intention to play with my Queen. 3...Qe6+? My Queen is misplaced here and will be forced to move again. The opening theory of the Scandinavian Defense is that 3...Qa5, keeping Black's Queen out of danger, is the recommended move. My choice of move is typical of beginning players. The expression "patzer (weak player) sees a check, patzer plays a check" is appropriate for this move. 4.Be2 Qg6 I've discovered a potential weakness in White's g2-pawn and immediately take aim, as shown in Diagram 6. Played in true patzer style, this move ignores the obvious threat to capture the g2-pawn. White should defend the g2-pawn by 5.Bf3. In this case White would look to play Ngl-e2-f4 in order to attack Black's Queen. 5...c6! The venerable grandmaster Victor Kortchnoi would describe this very good move as "a blind hand finding a seed/' I block the check to my King while returning the threat to White's Bishop. I seize the opportunity to attack White's Bishop once again. A better move is 6...Qxg2, following through on the planned raid. White sacrifices a Knight for doubtful compensation. After 7.Bb3 Qxg2 8.Q13 White could have limited his losses to a pawn. 7...Qxg2! 8.Nc7+ White happily forks King and Rook. After 8.Qf3 Qxf3 9.Nxf3 cxb5 10.Bxb5+ Bd7, Black would have a clear advantage in force as he has won a Knight for a pawn. Of course, at this point in my career, this advantage was by no means decisive! As shown in Diagram 7, the Rook trade leaves White in a desperate situation, as his King will soon be exposed. 12...Qg2+ 13.Kd3 Bf5+ 14.Kc3, White's King is trotting around the board, but it is still a fight. This fine move separates White's Queen from the protection of the King. 14.Kxf3 Qxd1 + At the position shown in Diagram 8, White resigns. Unhappy about the loss of his Queen and with no ambitions for the remaining pieces, my opponent gave up. A number of similar victories convinced me of the correctness of my new approach. Developing my Queen as quickly as possible gave chances for an early knockout raid. It was certainly more successful than my Cannon Opening! It was at this point that I discovered a coffeehouse in Seattle's University District called The Last Exit on Brooklyn. The chess players who met here were far more experienced players than my usual circle of friends. It was here that my Queen Raid approach received a number of nasty setbacks. The harshest lesson was the following game, which left a deep impression. Black responds with the Classical King Pawn Defense. I didn't know the defense had a name, but it was a standard counter in my circle of friends. ... . . .. w. .WVV.W.-. .
Of course I was very happy to play this mistake, allowing my Queen to immediately begin its attack. Naturally, I'm poised to grab Black's e5-pawn. This reaction put the brakes to my plan. Black easily defends my one and only threat. It was time to create another. White threatens 4.Qxf7, which is well known as the Scholars Mate. The term wasn't known to me, but the threat certainly was! How would my experienced opponent react? 3...g6! In a good move, Black blocks my threat to the f7-pawn and attacks my Queen as well. Undeterred, I retreat my Queen and renew the same threat. Thus far I was very proud of my play. Aggressive from the start, I had held the initiative and was really taking the game to my opponent! Surely he felt the same way too? 4...Nf6! Black calmly blocks my threat to the f7-pawn and develops another piece. Now I fully concentrated to find something creative. After some intense thought, I found a nifty idea. As I was about to discover, this was a mistake. At the time, I really liked this move because it fit perfectly with my newfound knowledge. The f7-pawn is attacked yet again—how brilliant I am!—and my Queen is perfectly positioned to grab the b7-pawn if opportunity allows. Yes indeed, things are really going my way! 5...Nd4! I was certainly proud of this move. My opponent is forced to move his King, I'm a pawn up, and I'd be victorious after just a few more stern moves. I was a bit perplexed that my esteemed opponent was not perturbed by the need to move his King. In the far recesses of my mind a doubt appeared. I was surprised that I didn't have an immediate checkmate. What a pity that 7.Qe6 isn't checkmate! In that case, either the d7-pawn or the d4-Knight would capture my Queen. My first idea was to play 7.Qb4+. (My second check in a row! I would be on a roll.) But after 7...Kxf7, I'd lose my Bishop and my Queen would be under attack. 7...b5! Where did this unexpected move come from? Wasn't I the one making all the threats? Black's move attacking my Queen forces me to give up the protection of my Bishop. I was very sorry to see the capture of my valiant Bishop. After all, this Bishop had forced Black's King to move. Now my hand faltered. I had intended to grab Black's e5-pawn when my attention was drawn to my c2-pawn. My goodness! After 9.Qxe5 Nxc2+ lO.Kdl Nxal, my King will have been checked and I would lose a Rook. A rather painful retreat, but I couldn't allow the capture of the c2-pawn and my Queen had to move. 9...Bb4! Black unleashes another powerful and unexpected move! I had been warned that my opponent was a "good player." But this apparently wasn't true; my opponent has just blundered a Bishop. My hand reached out to grab the Bishop but faltered. Why? Well, my Queen protects my c2-pawn and if I take the Bishop... Yikes! It dawns on me that with 10.Qxb4 Nxc2+, my King and Queen are forked by a Knight. I'd lose my Queen. This means that I can't capture Black's Bishop. What's even worse is that my Queen is attacked again and I must move. I revise my evaluation of my opponent: He is good! He had just set a trap of two moves. He had actually anticipated my move. How on earth had he figured that out? Now my harried Queen must move again, but I can't allow the capture of my c2-pawn. At last, a mistake! My opponent has missed my threat of c2-c3 forking Bishop and Knight. Now I'd get the chance to win back the piece I'd lost. Finally, for the last time, my hand faltered yet again. Surely my crafty opponent would not overlook losing a piece? Right, that was the trick! Black's last move introduces the threat of ll...dxe4, winning a pawn, and worse, attacking my Queen yet again! Fearful of ll...dxe4, I couldn't allow my pawn to be captured. I still had my ambitions. Given the chance, the move c2-c3 would win back my piece. I couldn't believe what had just happened. With another fine attacking move, my Queen was again under attack and had to move. My game is terrible. Black's pieces are buzzing about the board and all I have developed is my Queen. The Queen, which I thought was a bully, was getting pushed around. With a heavy heart I abandoned the defense of my c2-pawn and accepted the loss of a Rook. I recall being quite proud of this move. I realized that 12.Qe3 Nxc2+ would fork my King and Queen. Unblinking, my opponent immediately attacked my Queen yet again! 12...Nh5! I couldn't believe my opponent had resisted the temptation to play 12...Nxc2+, which I evaluated as winning. So why this move? Once again my Queen would have to move, but where? Take a look at Diagram 10 and you'll realize my discomfort. Nearly all the squares available to my Queen are guarded! I avoid stepping into the same ...Nd4xc2+ Knight fork, and I console myself with the thought that I have wiped out a pawn. I saw Black's next move but there was nothing I could do. 13...Re8! By pinning my Queen to my King, the cannon had never seemed more powerful! Knowing my Queen was lost, I captured the Rook. What a disaster! My Queen is captured and my King is checked. Flustered by the suddenness of my losing position, I found my last bad move. My experienced opponent didn't bother to announce checkmate and instead left it to me to find a move. (See Diagram 11, on the next page.) With my hand on my King and a puzzled expression, I tried moving my King to a few squares. When I couldn't find a square, I looked at my opponent. He gave me a knowing smile and then said, "Checkmate." B Instead of being a bully, my Queen had actually been chased around the board, having to respond to every threat against it. While an early Queen Raid against a beginner is effective, a Queen Raid will not work against an experienced opponent who knows how to coordinate pieces. Chess coaches all over the world understand this truism! Beginners are very vulnerable to Queen Raids. Once they learn how to coordinate their pieces and pawns and ward off an early Queen Raid, the strategy fails. The early development of the Queen is a detriment for the other pieces and the strategy boomerangs against the raider. Before moving on to Chapter Two, I'd like to share the following game. During the time I spent writing this book, I received the June 1998 issue of Northwest Chess, the monthly publication for the Washington and Oregon State Chess Federations, which reported on the 1998 National Elementary Championships that had been held in April. National Chess Master Carl Haessler, who has been successfully teaching chess to scholastic players for years, accompanied several of his students to the 1998 Nationals and shared their successes and sorrows. Carl's report featured the following game. I look at this move with a knowing smile of understanding. How exciting! Will Black see the threat to the e5-pawn? 2...Nf6? No, the threat is overlooked! As I've previously demonstrated, there is no reason not to protect the e5-pawn. 3.Qxe5+ Be7 4.Bc4 Nc6! Very good. The raiding Queen is attacked and a piece is developed with tempo. 5.Qf4 O-O 6.e5? Played in the spirit of the raiding Queen opening, White makes threats as quickly as possible. Much better is developing a piece with 6.Nc3. 6...Nxe5?? Things are certainly going in White's favor. He has now won a piece and enjoys a winning position. All of this in only seven moves! Undeterred by the early setback of material loss, Black continues by developing a pawn with tempo. Unfortunately, this move has a drawback: The e7-Bishop is locked in behind Black's f6-Knight and d6-pawn. This is important because the only open file in the position is the e-file and the e7-Bishop is therefore misplaced. A Rook belongs on the e-file! Stronger therefore is 7...d5!, attacking White's Bishop. After 8.Be2 Bd6! White's Queen is forced to move yet again. In this case, Black is coordinating her pawns and pieces and is beginning to get some play for the lost piece. The idea behind the move is to play 9...Bg5, attacking White's Queen. As pointed out before, a stronger move is 8...d5! 9.Be2 Bd6, developing Black's forces with gain of time. Diagram 12 shows the current position. This looks like the start of a bad idea. Is White combining a Queen Raid and a Cannon Opening? Simplest is 9.NO, which develops a piece and prevents a 9...Bg5 attack on White's Queen. This continues to waste time pursuing an attack that is going nowhere. Again, 10.Nf3 is the correct move. White's wasted moves allow Black to get back into the game. 10...Nxc4?! Although it's not a bad move, it's not the best. Black could make White's position uncomfortable by attacking Whites Queen with 10...Bg5L The Queen is forced to move and to still lend protection to the c4~Bishop. After 10.Qe4 Re8, the e-file has been cleared with tempo and Black has developed some threats. A fine move. While Black has mixed good and bad moves, young Allison has a fine understanding of attacking White's Queen while developing her pawns and pieces. Still, it must be pointed out that the e6-Bishop's new station occupies the e-file. Once again the move 11...d5! should have been preferred. White continues to flounder. The Queen is getting bumped around pretty severely. It would have been better to get out of the way by 12.Qa4, or play 12.Qb5 with a potential capture of the b7-pawn. This latter move could have been expected as it neatly fits the concept of the Queen Raid. White might have been attracted to 12.Qc3? because in combination with the move h5-h6, a checkmating threat against the g7-pawn would have been created. 12...Bf6! Black is on a roll! She attacks White's Queen yet again. White is losing valuable time. He should play 13.d4, blocking the threat to his Queen and releasing his cl-Bishop for action. 13...Re8! With another fine move, Black brings her Rook to the open e-file and creates a tactical threat, as shown in Diagram 13. Filled with dreams of glory, White is oblivious to Black's threat. White should develop with 14.Ne2, blocking the e-file. This move is typical of inexperienced players who concentrate only on what they are doing—not what the opponent might be thinking. A shocking double attack, the discovered check by the e8-Rook doesn't allow the capture of the f5-Bishop. White is forced to lose his Queen. 15.Qe2 Rxe2+ 16.Nxe2 g6 Black won the game in 39 moves. Beginning players enjoy using their big guns, their Queens and Rooks, early—often to the exclusion of all the other pieces. The Queen Raid is effective when threats are overlooked. Against a proper defense, the Queen is vulnerable to attack and is often left stranded. A chess game has three phases: the opening, the middle game, and the endgame. 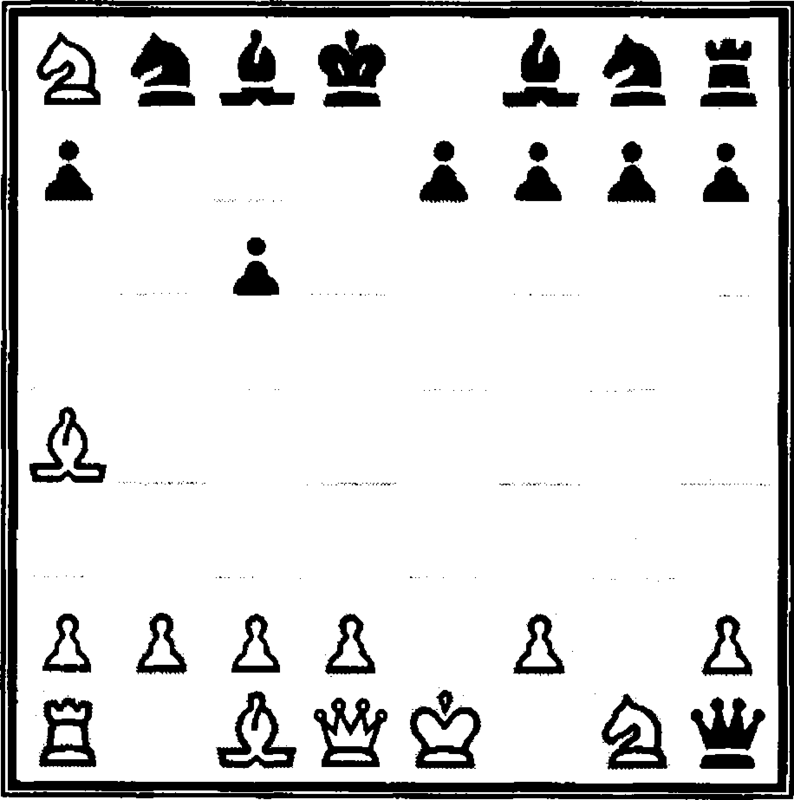 In the opening, pawns and minor pieces play the key roles. The major pieces—the Queen and the Rooks—do not. This principle brought a newfound awareness. If I was to have any chance against an experienced player, I had to learn how to use my pawns and to develop my Knights and Bishops first. I had to resist the impulse to raid with my Queen or to expect my cannons to blaze away. Of course I could not do this! Only countless telling losses made me understand this principle. My opponents at the Last Exit beat me like a drum. The word "victory" seemed to apply only to my opponent. Finally, like a stubborn mule, I chose to accept the well-worn path to chess mastery and I learned a slew of new opening ideas. While I continued to lose many games, I was also fortunate to witness many games between strong players. One thing that confounded me was how vulnerable the King is in the opening. Time and time again a King was checkmated within 10 to 20 moves. 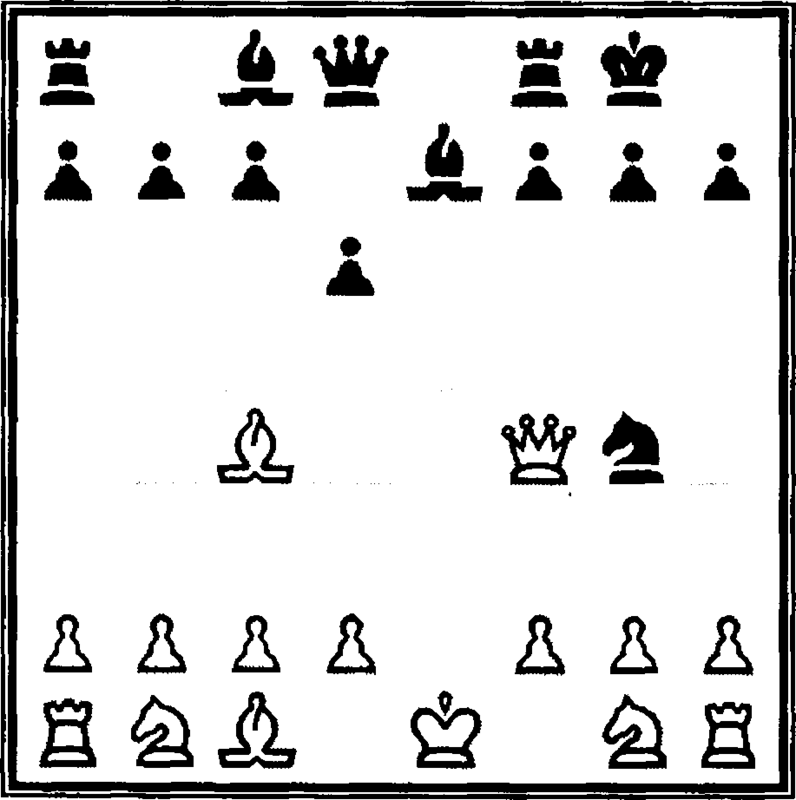 Often a player didn't go after the win of a pawn or a piece but instead launched an all-out assault on an enemy King. This invariably happened when the victim neglected to develop his pieces. The idea that a player intentionally sacrificed material—usually a pawn—for superior development was quite charming. The concept of sacrificing material for a gain in development is called a gambit. This strategy instantly became one of my favorites. First I had to learn a few more opening principles. 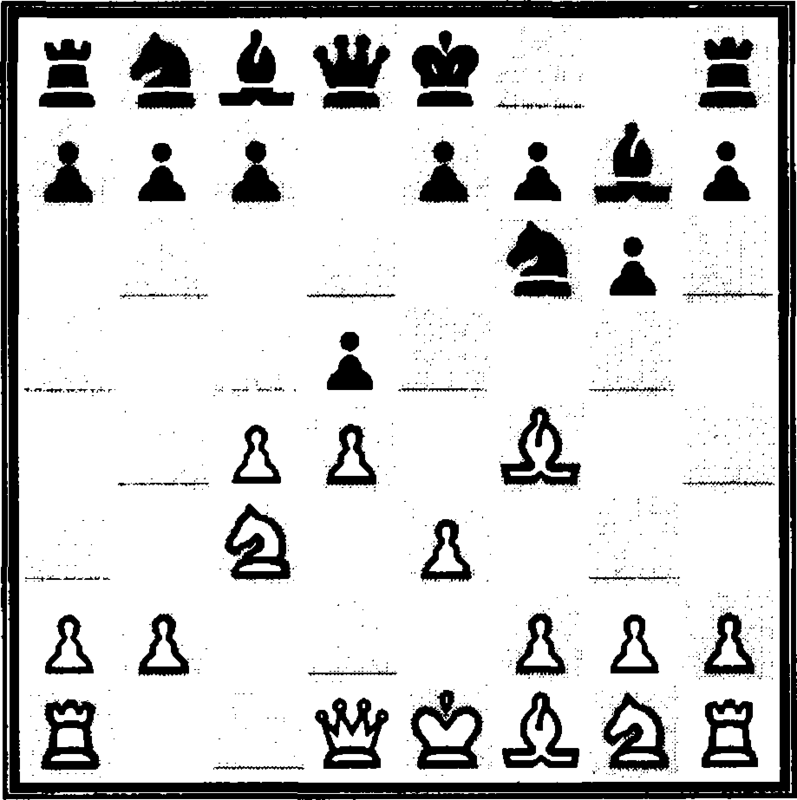 The purpose of the opening is to get a safe King and an equal middle game. This principle at first saddened me very much. When I sat down to play a new game of chess, I was charged. I wanted to win right away; the sooner the better! That was the purpose of my Queen Raid and I delighted whenever an opponent fell into the Scholar's Mate. It was Jeffrey who convinced me of the correctness of this principle. He asked me how often I had checkmated one of my beginner friends in a Scholar's Mate and I proudly stated, "Lots of times!" Jeffrey nodded and seemed to take some time considering my answer and then asked me, 'The last time you won that way, what did you learn?" Actually—except for the fact that my opponent was vulnerable to this well-known trick—I hadn't learned a darned thing! The underlying goal for all openings and defenses is to control the center. This principle had not occurred to my earliest circle of chess friends. We happily traded pieces, pushed a pawn, delighted in a check, and hacked away at the opponent's army of chessmen. The idea that there should be an all-encompassing way of playing any opening was quite a surprise. The key squares are the four in the middle of the board: e4, d4, d5, and e5. 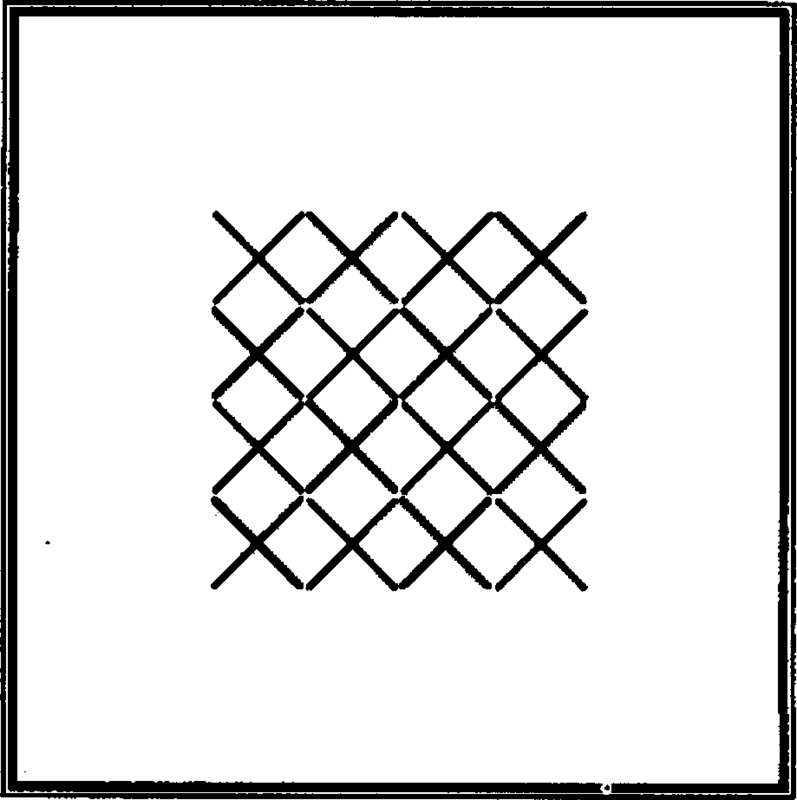 Diagram 14 shows the key central squares on the board, each marked with an X. 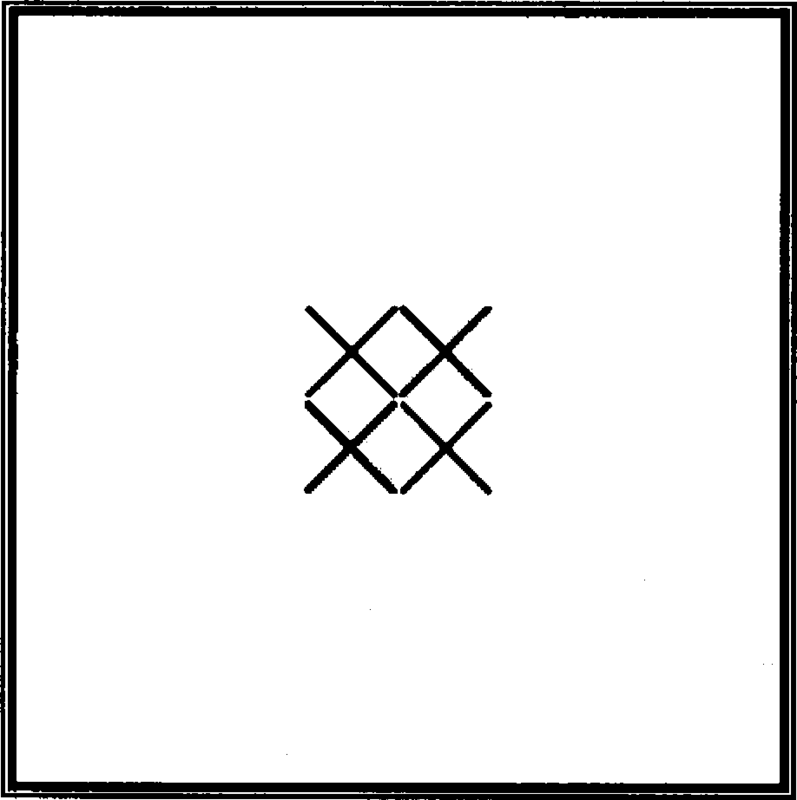 The explanation for this principle is astonishingly simple: Put any piece on one of these squares, and it is at its most powerful. That's because the piece controls or influences more vital squares than if it's placed anywhere else. By controlling or occupying these squares, your pieces are more powerful than your opponent's—an advantage you can use to create attacks and win material! Beyond the key central squares, a greater center covers sixteen squares (c3-c6-f6-f3), as shown in Diagram 15. 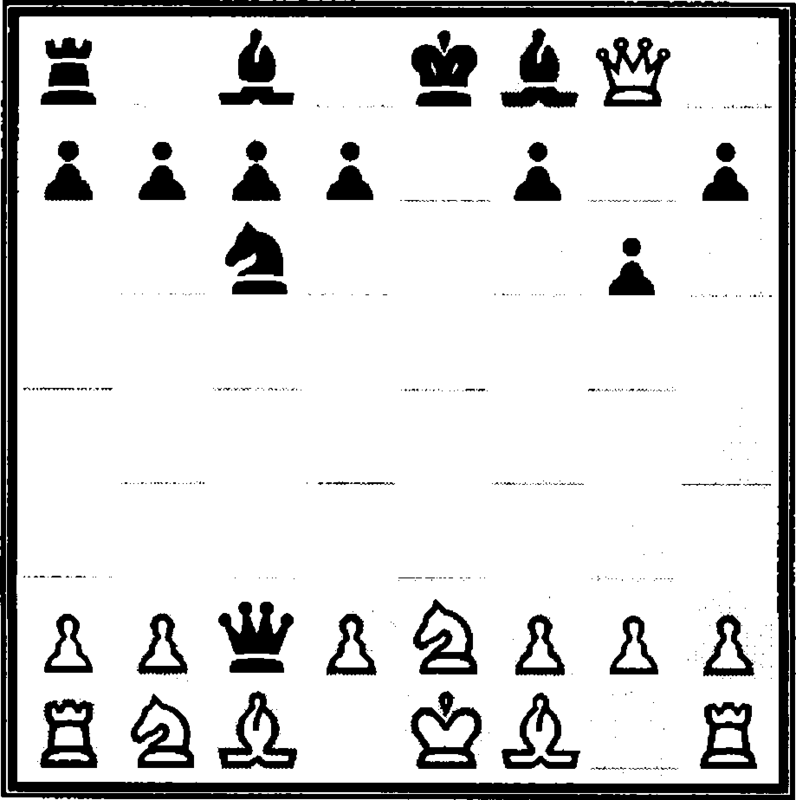 By controlling this area of the board with pieces and pawns, a player is better able to conduct an attack on the Kingside or the Queenside flanks. those peculiar-sounding openings were played. It was at this point that game notation—writing down the moves of my games—became an important part of my development. I was able to analyze my games at home and learn if what I played was right or wrong. Along with writing down the moves to my own games, I now discovered that I could replay the games of other players. And some of these players were really good! How to do queens raid in chess? How to perform the queens raid?